Are you a keen fisherman or just eager to try your hand at a spot of angling? Whether it’s a boy’s trip away, a father and son getaway or a whole family break, your luxury fishing retreat is waiting for you at Log House Holidays. 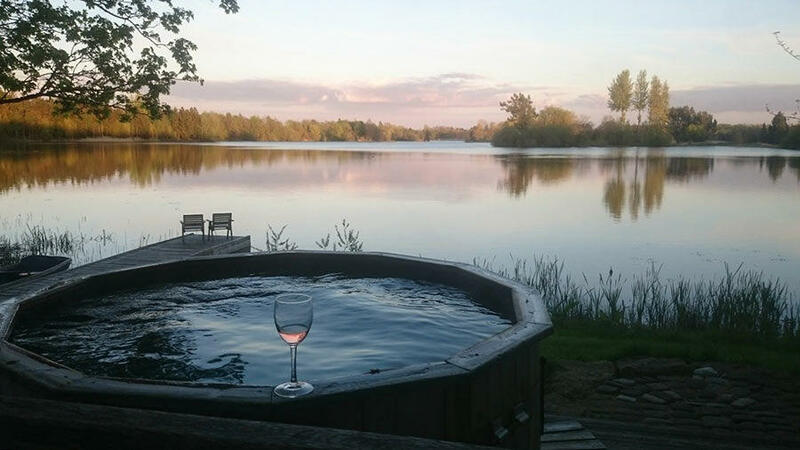 Book your stay here in the Cotswolds and enjoy the unspoilt 130 acre spring fed lake, head out on your own private rowing boat or soak up the views from the comfort of your own private lakeside hot tub at the end of a long day of fishing. 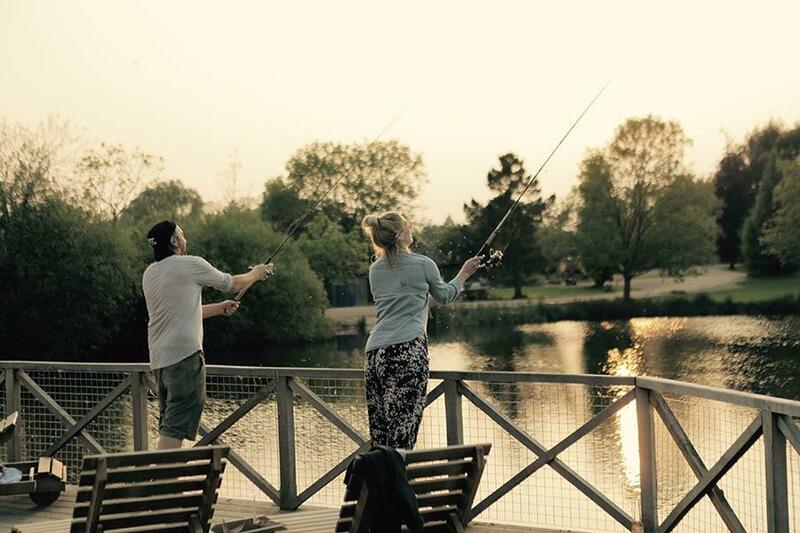 We’ve got some great catches just waiting for you, so book your break with us today. All the family had such a great time – and I caught the biggest pike yet! We have a wide range of fish in our spring fed lake including pike, perch, tench, rudd and roach. The record catch being a 39lb pike! We have also had some very large perch and tench that are regularly seen from your own lakeside pier. For those without their own equipment, we can recommend our local fishing shop, The Tackle Den. Our holiday site isn’t just for fishing though. In all seasons there is lots to do around the lake and in the surrounding Cotswolds (check out our Ultimate Holiday Guide to the Cotswolds). From exploring the lakeside trails, to wild swimming and exploring the islands and coves with your own rowing skiff, there’s a fun activity for everyone. If you’re feeling adventurous, why not rent some bikes and get lost in the winding Cotswold countryside? Or if you’re feeling lazy, do what many of our guests come here to do, which is nothing at all but relaxing in the comfort of our stylish Scandinavian retreats. Our eco-friendly cabins are authentically Finnish, and all come with a wood burner, outdoor fire pit, spacious veranda with lake view hot tub, beautiful interiors and luxurious spa style bathrooms as well as a modern kitchen for the perfect self-catering break. Fishing breaks have never been so luxurious – all 8 of our log houses have been thoughtfully laid out with an open plan living space and modern touches such as underfloor heating, large beds with Egyptian cotton bedding, plush bath towels and more. Each cabin offers free WiFi for guests, a large flat screen TV with DVD player, a mini library filled with great reads plus a games cupboard for cosy nights indoors. We can even help you add optional extras such as a 5 star spa day inside the comfort of your own private accommodation to make your trip even more special. Our pet friendly holiday lodges also mean you can bring the whole family.